Room 22 read the book 'The Treehouse Treaty'. It is about children building a treehouse and later finding it necessary to make a Treaty, with the Treehouse Rules. We also related this to the Treaty of Waitangi which we discussed and looked at a real photograph of. The students then painted their handprints and signed them, as a symbol of the real Waitangi Treaty. 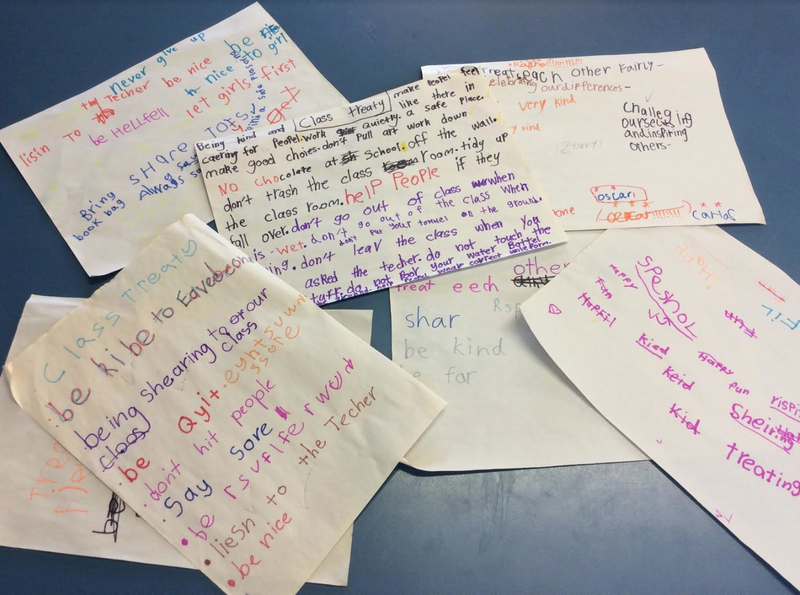 We had lots of discussion and brainstorming about excellent ideas for our Class Treaty. Woo Hoo Room 22. Lots of great thinking. I like the way lots of your ideas match with our school values. Well done! Super team work Room 22 coming up with your treaty. Your class treaty looks great Room 22! 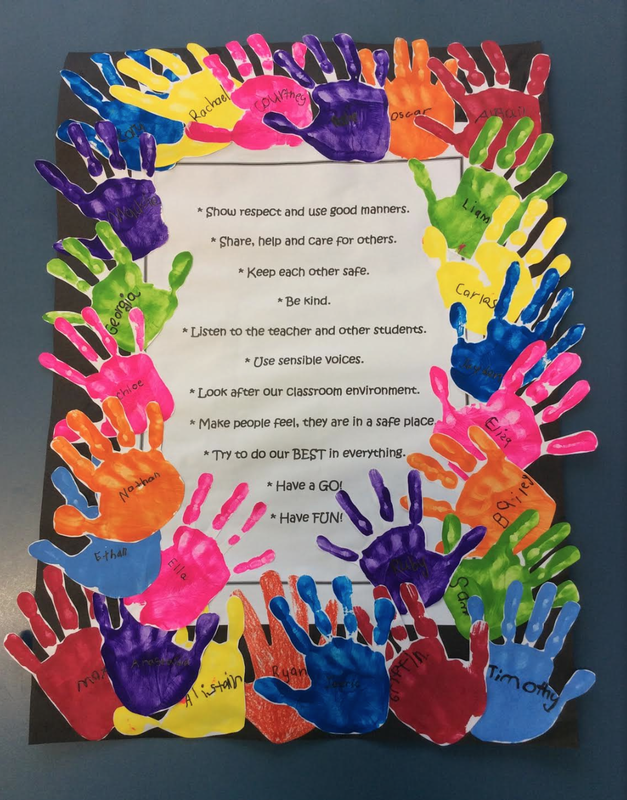 What amazing ideas for your class treaty Room 22. Well done! Fantastic treaty ideas. I like the presentation too, very creative and colourful. Good job Room 22!